Looking down the hill from our house you can see the building which functions as the classroom and church. 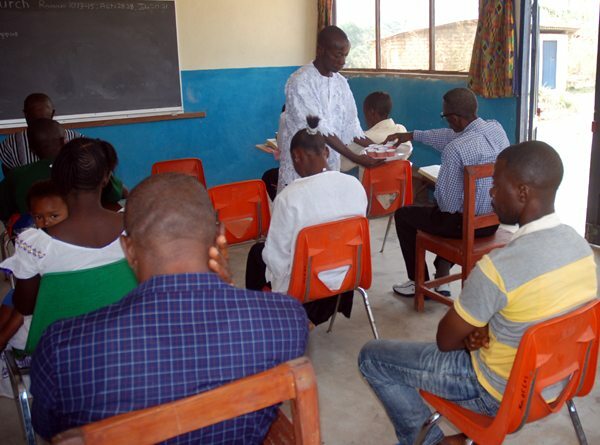 In September 2010, Gather The Fragments Bible Institute opened it's doors to those wishing to learn the Word of God. Many of our initial students fell away as they learned the practical application of Ecclesiastes 12:2 which says, Much study is a weariness of the flesh. On June 25, 2014 we graduated four hard-working, dedicated students. We currently have five students enrolled for classes. GTF Bible Institute is a three-year program where students become solidly grounded in Bible basics with a focus on evangelism and personal work. 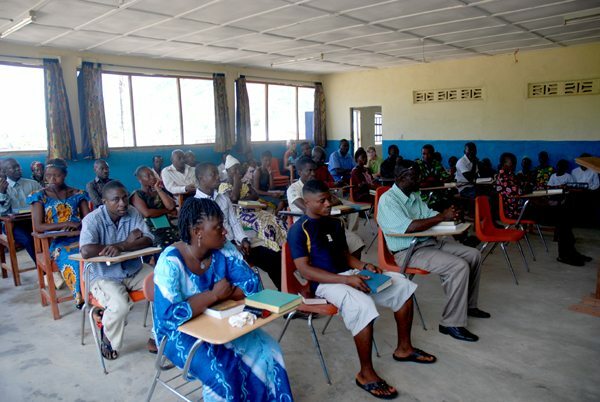 For classroom instruction, we have two 12-week terms per year which follows a seasonal rotation meeting during the rainy season. 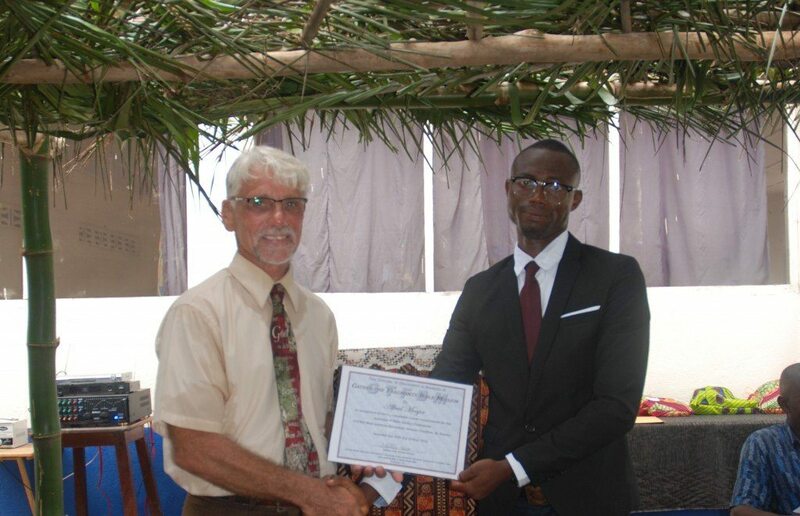 Along with book and classroom instruction, part of the course work required for graduation is the Evangelism Practical where students assist with evangelism, teaching, and preaching at our Partnering Churches throughout the country during the dry season. 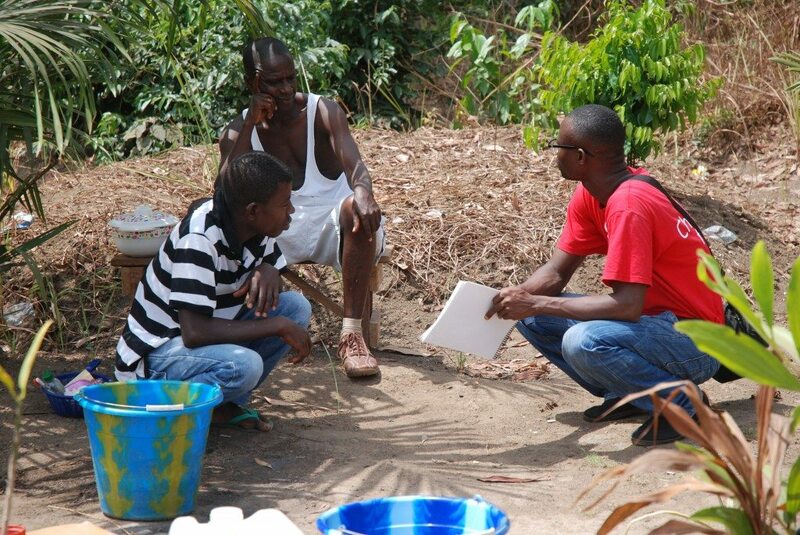 It's not difficult to find willing participants as the students eagerly join in traveling to areas both urban and rural. They're putting sneakers on their classroom studies, hitting the streets and jungle trails and making it REAL. 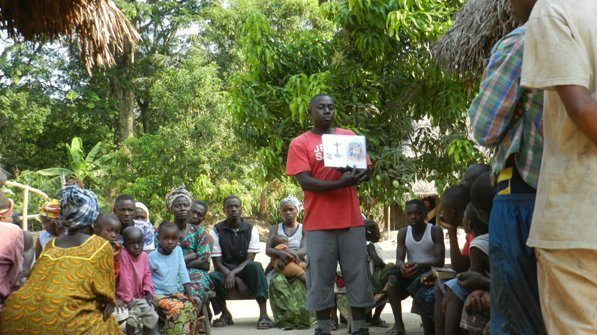 They capably handle questions from all religious sides giving answers from scripture. It's been a joy to watch the men grow in confidence as they learn to earnestly contend for the faith without being contentious. 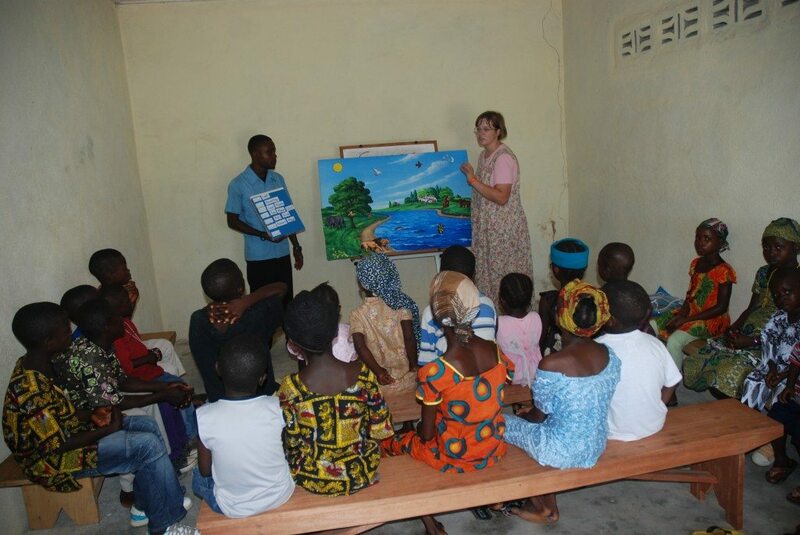 They are also learning the art of personal work and not simply rushing people to a decision or a repeat-after-me prayer which is so pervasive in West Africa. While visiting our Partnering Churches our students also assist with preaching for special meetings and teach children's programs giving our students a wide range of valuable on-the-job experience. Opening Day at GTF Bible Institute. Certificates of completion are given for each course a student successfully fulfills. 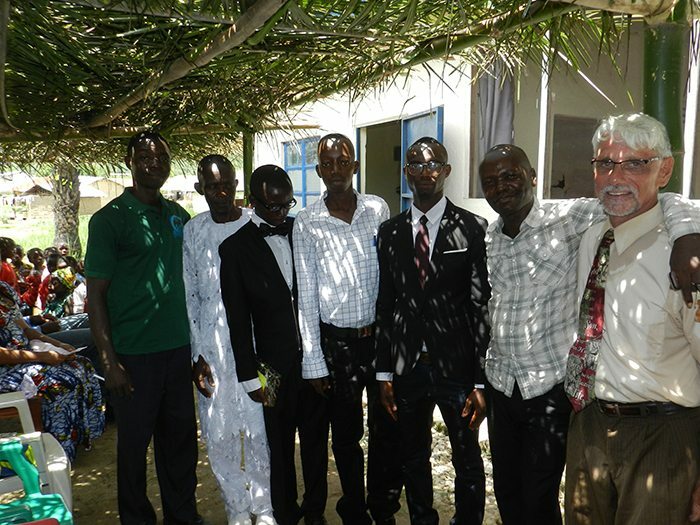 The four graduates, the relieved teacher and two members from one of our partnering churches who joined us for graduation festivities. 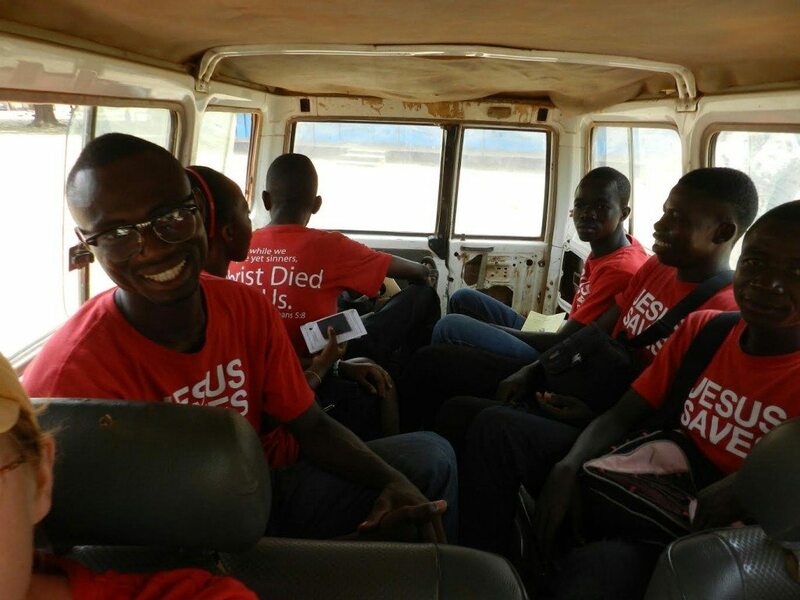 Students on an evangelism blitz in Freetown, Sierra Leone's capital city. Revelation 3:2 tells us to Be watchful, and strengthen the things which remain, that are ready to die. 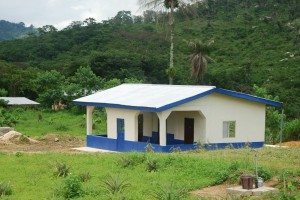 In accordance with this admonition, Gather The Fragment Bible Mission has developed a circuit of Partnering Churches throughout Sierra Leone for the purpose of strengthening and encouraging our struggling brethren who are not equipped to withstand the mounting pressure from Islam. 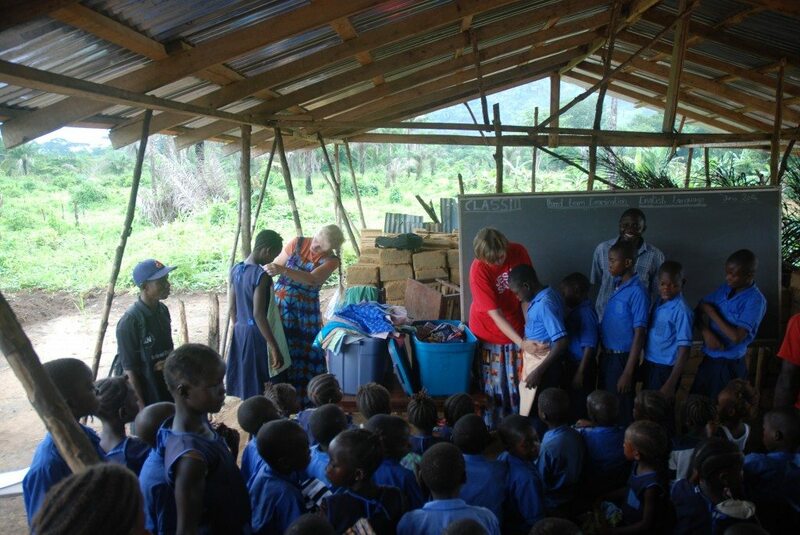 Following the military model of exportable training we take the school to the students. 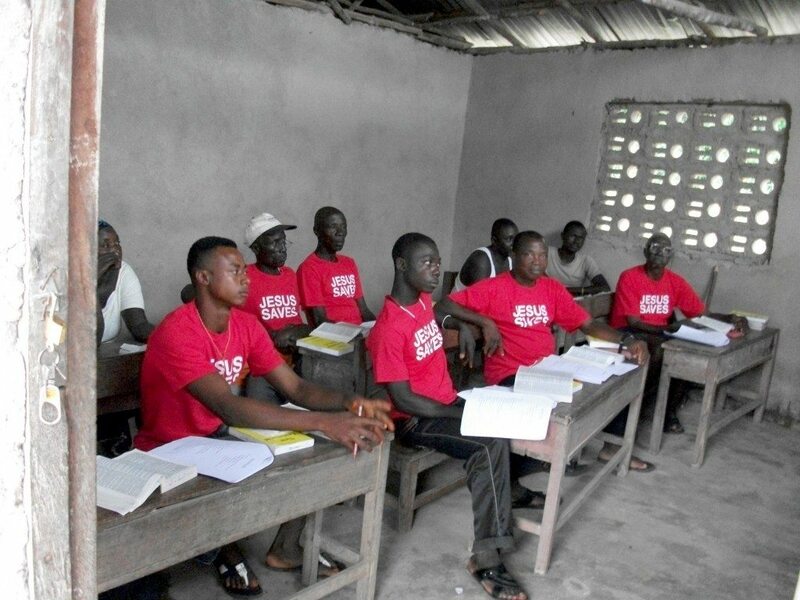 This gives the added advantage of training the men on their home turf as well as affording time for evangelism within their own villages, towns and cities. We continue to add churches, both rural and urban, to our circuit. 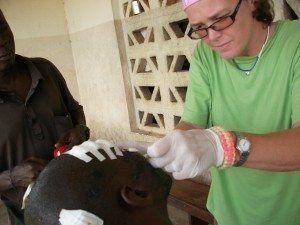 Students and graduates from GTF Institute assist with this work giving them valuable experience and the opportunity to be a blessing and encouragement to their African brothers in Christ. in Kenema. This was the first exposure to street work for this church. 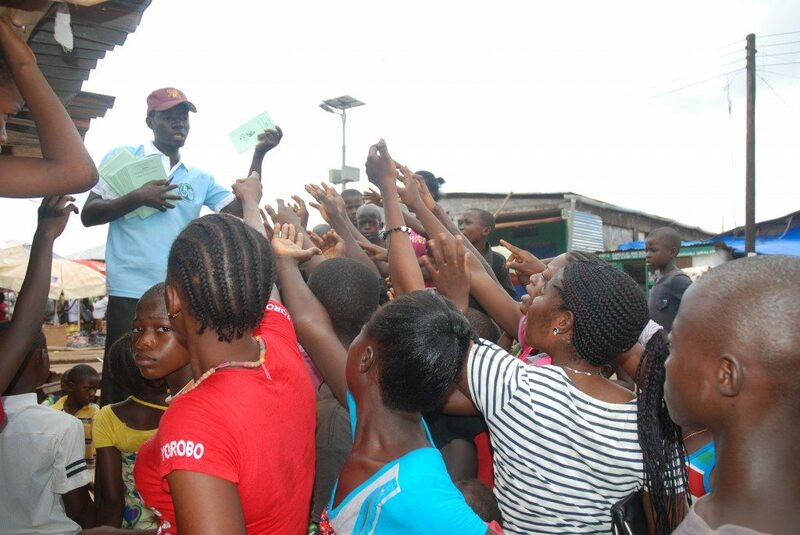 The whole team did a great job and have become zealous public witnesses in Sierra Leone’s third largest city. 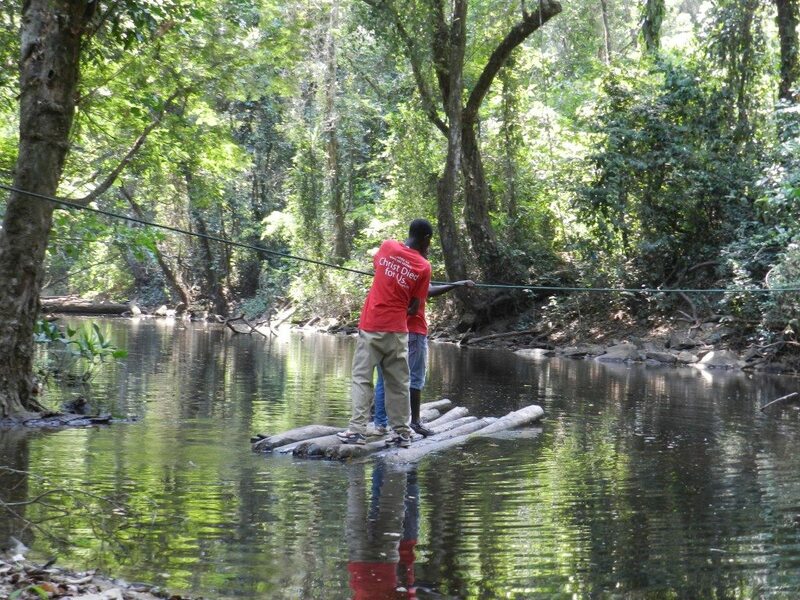 Sometimes we use other less conventional modes of travel! Though not wide this river is quite deep. gathered in this central meeting place. 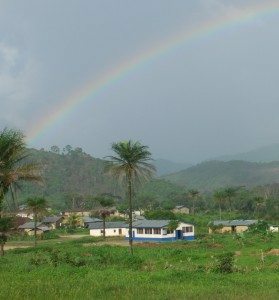 The Christian communities in these remote villages are grateful to know they aren’t forgotten as they experience increased persecution by the Muslim majority in their areas. We all know the expression A picture is worth a thousand words. In Lamentations 3:51 the Bible says it this way, Mine eye effecteth mine heart. 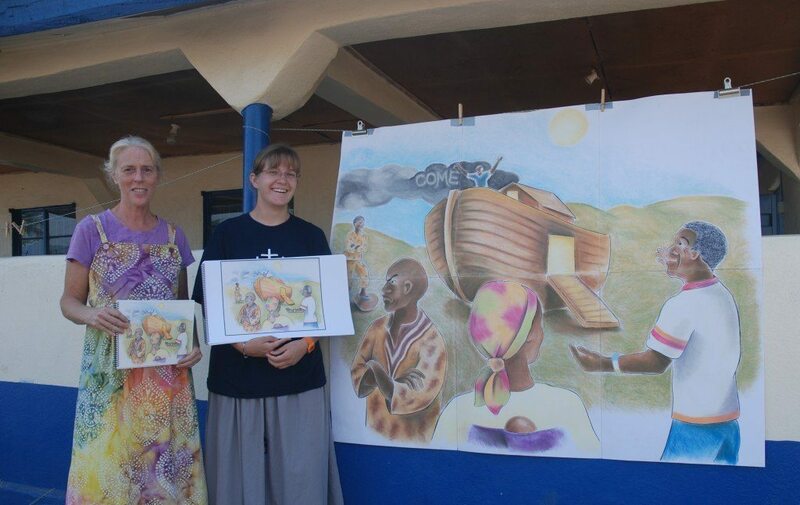 Working together with our students and cultural informants, illustrations are developed to depict Bible stories within culturally familiar settings. 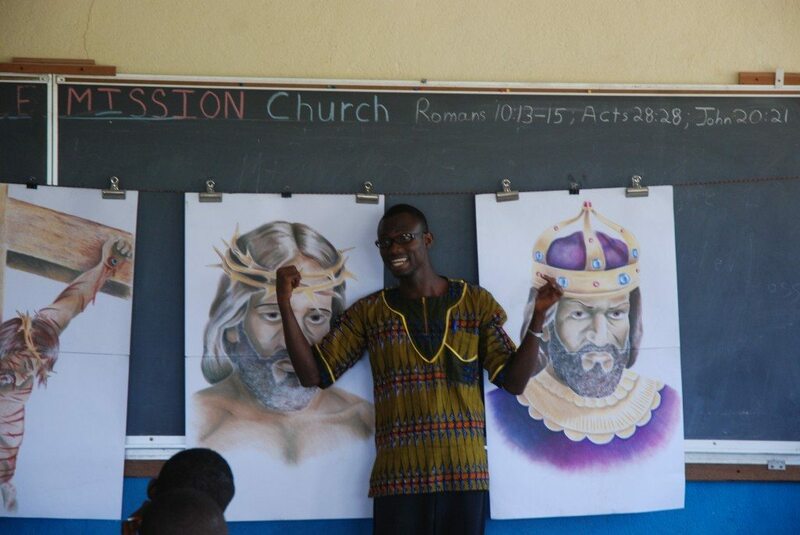 We regularly use large scale pictures for public preaching, children and adult Bible Classes, and in area schools where we have an open door to teach Bible lessons. 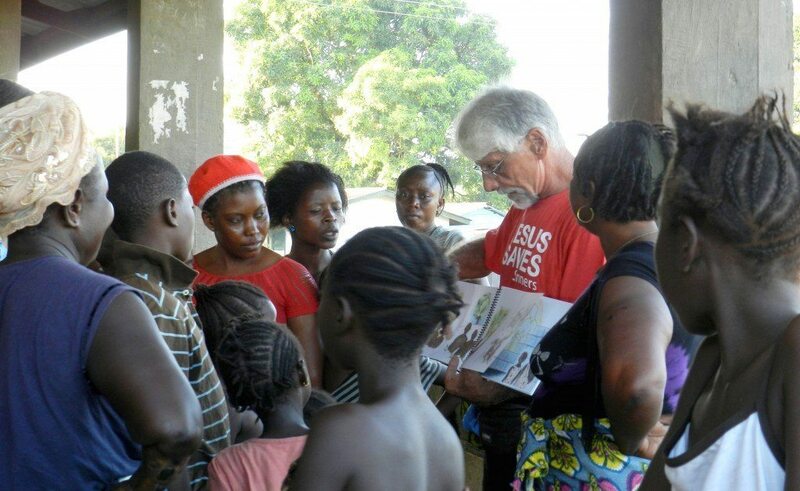 For door-to-door visitation we have developed evangelism booklets. These booklets use only pictures; there are no words. 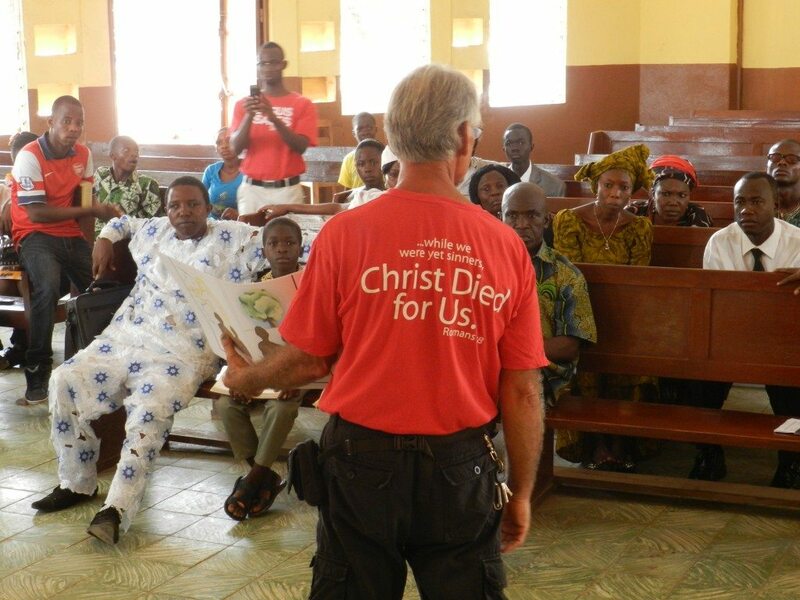 This makes it possible for even our illiterate workers to present the Gospel in a manner which will hold the attention of the hearers. This format also helps our literate men to stay focused on one basic Bible story making their Gospel delivery less scattered and more effective. 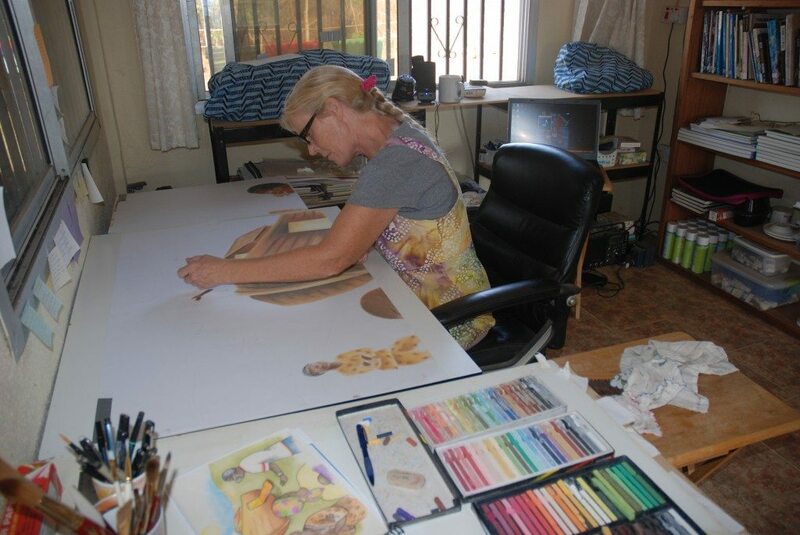 For booklets, the original artwork is typically done in water color, colored pencil or a combination of the two. Pages are then scanned, color printed, laminated, and spiral bound. These books easily travel to even the most remote locations and we are making them available to pastors who have been through our training. A long-term project currently under way is a wordless evangelistic book based on the book of John which will focus on one major teaching from each chapter. The large-scale illustrations are done pastel and then spray coated. These are done on four to six panels of larger paper which get taped together in such a way that makes them easily fold down to the size of one panel making them extremely portable. These have been used in every venue from urban to very remote. 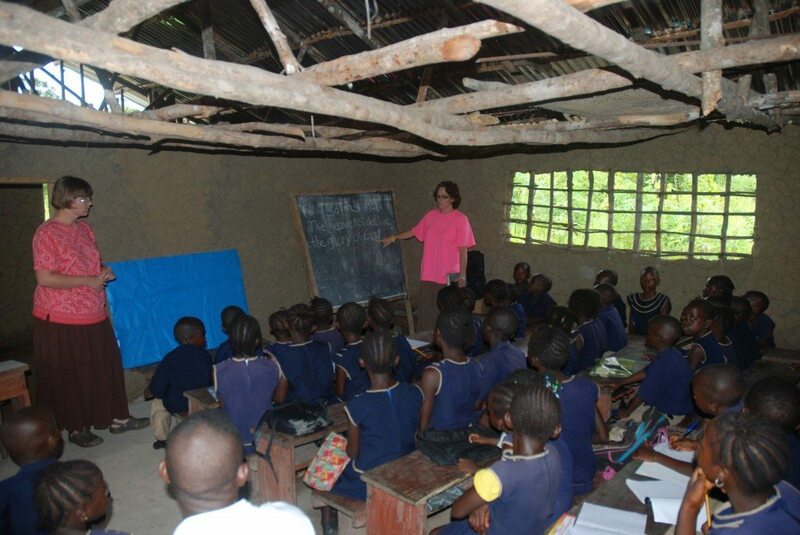 With a literacy rate of only 38%, Sierra Leone is ranked int he bottom 10 nations for literacy. 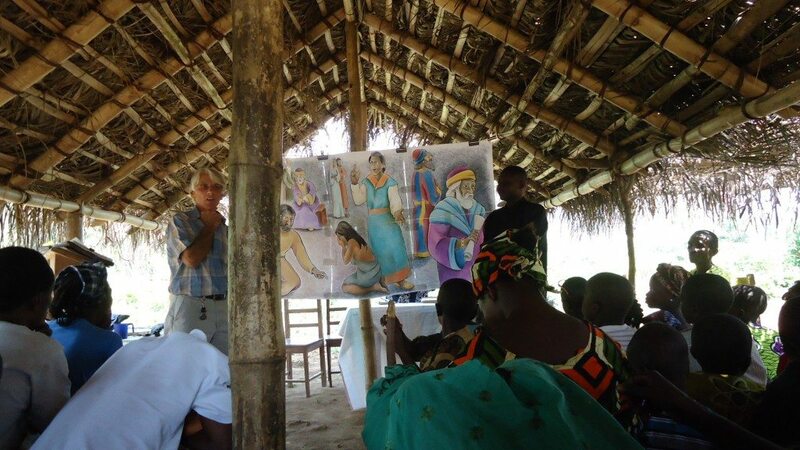 Illustrated Evangelism helps bridge the gulf of illiteracy by visually bringing spiritual light to those who live in darkness. Three sizes of the Noah Evangelism materials. 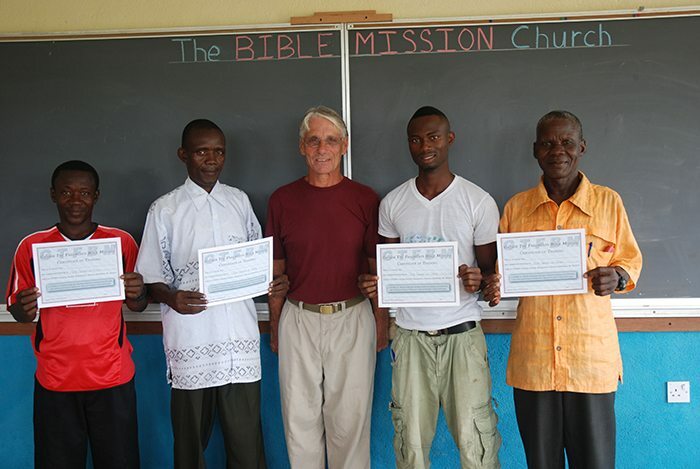 The Bible Mission Church was founded in January 2012. 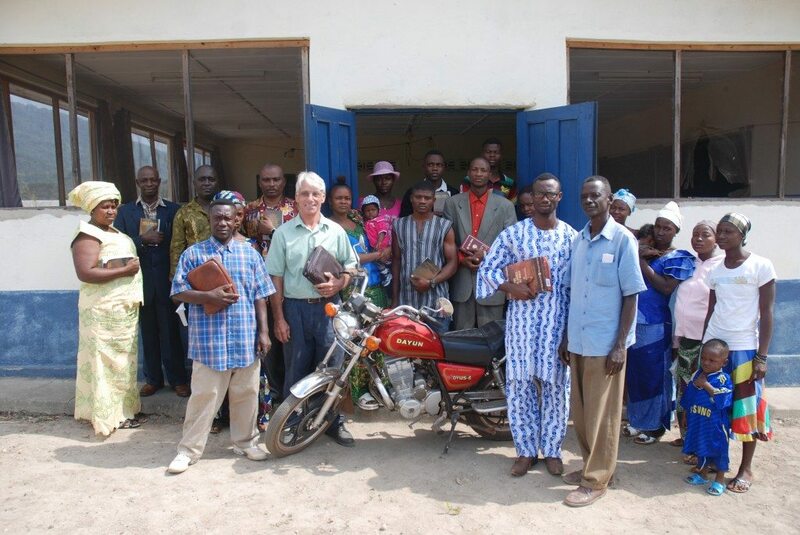 The Community Church which had initially invited Gather The Fragments Bible Mission into Boamahun for the sole purpose of establishing the Bible institute had been taken over by Pentecostals who subsequently severed all ties with the GTF Ministry. Several students already enrolled in the institute no longer wished to fellowship with that church because of the radical change in their doctrinal position. After a few months of not attending church, they approached me about starting their own church. 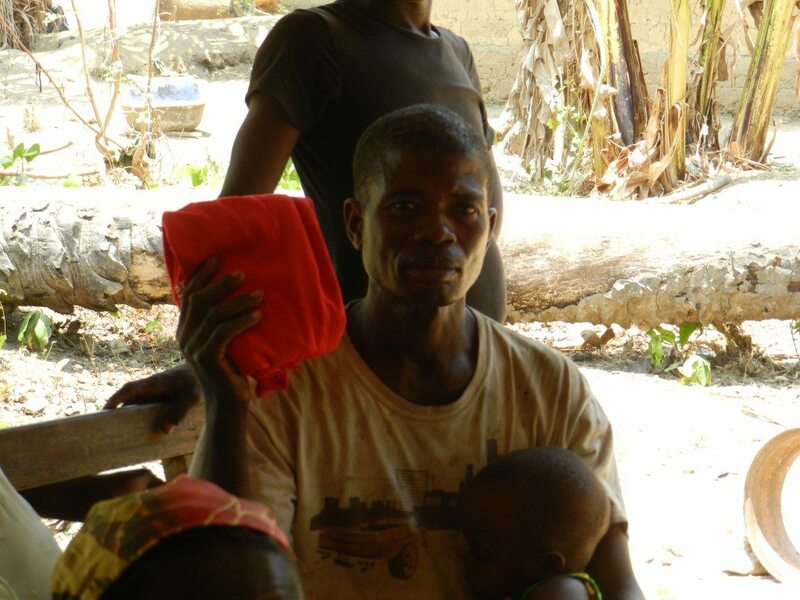 I purposely waited for them to initiate this move so they would be comfortable within their cultural constraints; our village is small and starting a new church could have been viewed as antagonistic. At their request, I preached our first meeting but I told them from the start that this is their church; I will guide, encourage, teach, and disciple but all from the background. They know my position is that of mentor not pastor. As a missionary-teacher, one of my responsibilities is to help my students recognize their gifts from God and then provide opportunity for those gifts to be developed. 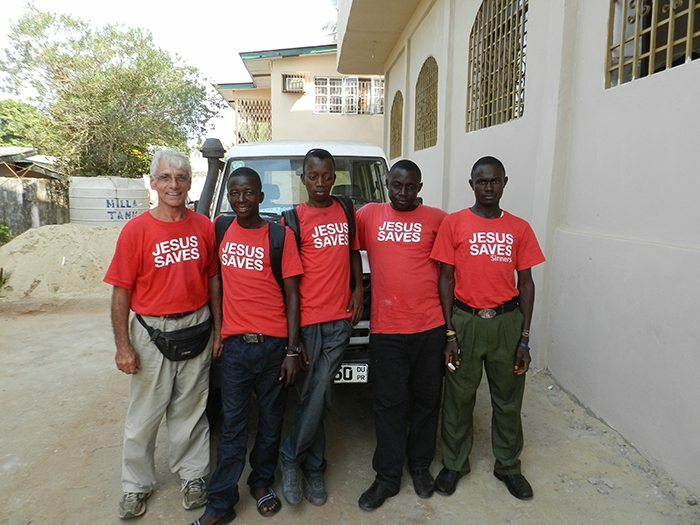 Whether it’s teaching Sunday school lessons for children or adults, preaching, song leading, visitation, or traveling the dry-season evangelism circuit, The Bible Mission Church provides many venues for the institute students as well as members to grow in their faith. It must be noted that the church name was chosen by the membership and is intended to denote the purpose of the Church’s mission: that of taking the Bible message outside the church building. we are still seeing consistent growth. The pace of growth affords ample time for home visits to help new people become grounded in Bible basics. 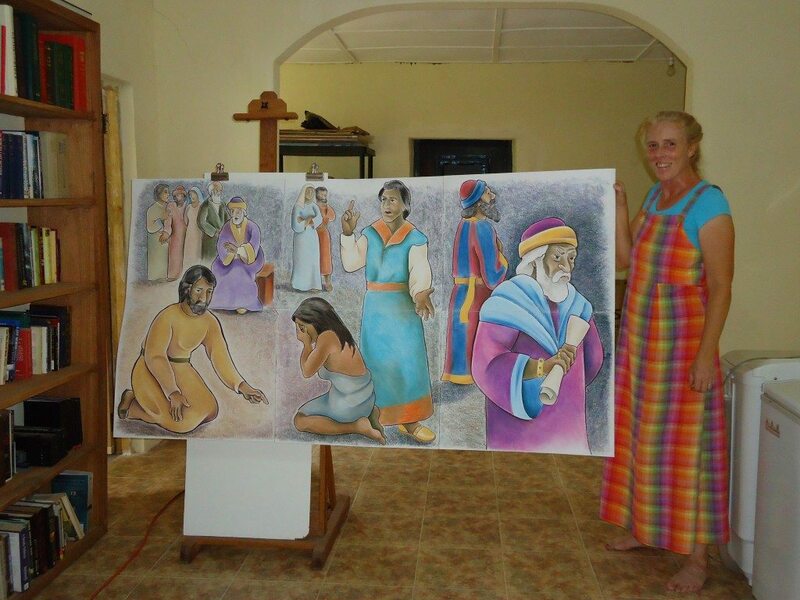 on “Who is Jesus?” with the assistance of large pastel illustrations. with the Assistance of our adopted son, Timothy. Little Fragments is thname given to our children's ministry. 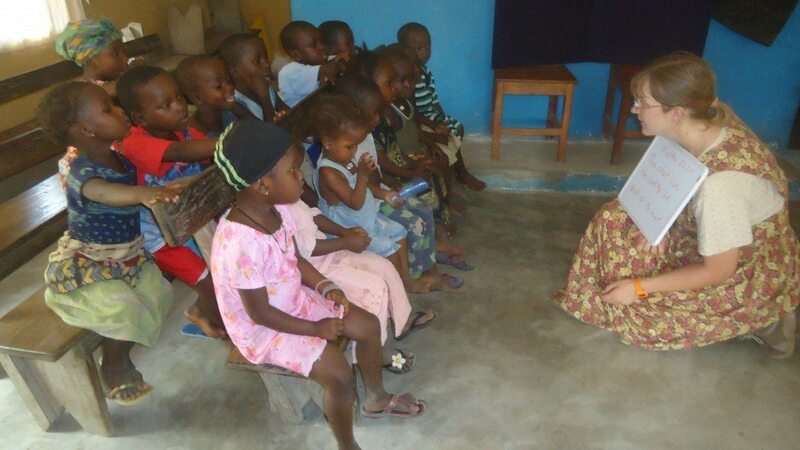 Children, especially orphans, are neglected little fragments which fall through the cracks of life in Sierra Leone. Currently our main area of focus for children's work is providing Junior Church at The Bible Mission Church in our town, Baomahun. 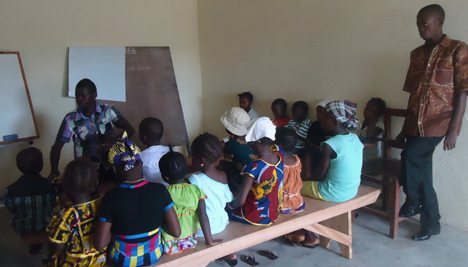 Utilizing students and graduates from GTF Bible Institute, we rotate teachers to systematically teach Bible stories to children of our members and any others who drift in on Sunday mornings. This has the double blessing of benefiting both the children as well as the Institute students. 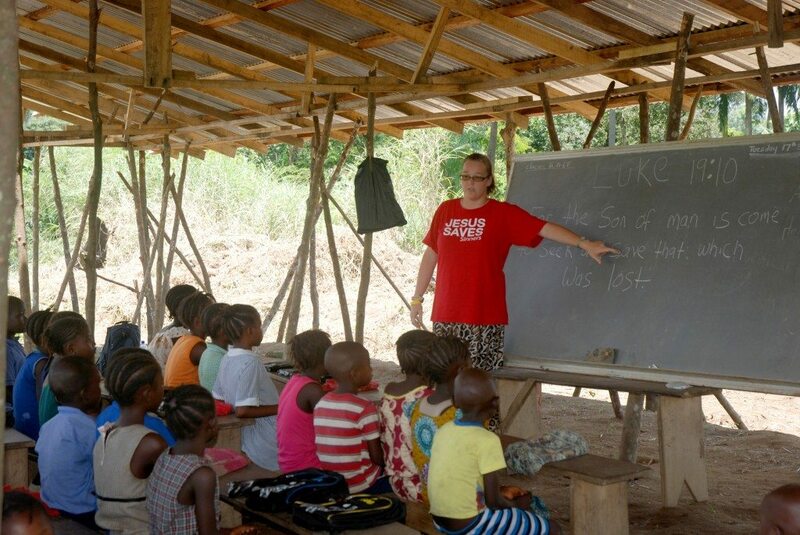 When we have Mission Interns we are able to greatly expand our scope of children's ministry by teaching CEF (Child Evangelism Fellowship) style classes at primary schools throughout Valunia Chiefdom. What a thrill to our hearts to be traveling on our dusty bumpy roads and hear children singing scripture songs learned in these classes as we pass through their villages! Little Fragments also plays a part in the Circuit Ministry as Mission Interns and Institute students teach children's classes in both urban and rural areas. These are vital aspects of ministry we would like to implement more permanently but are unable to maintain without assistance. 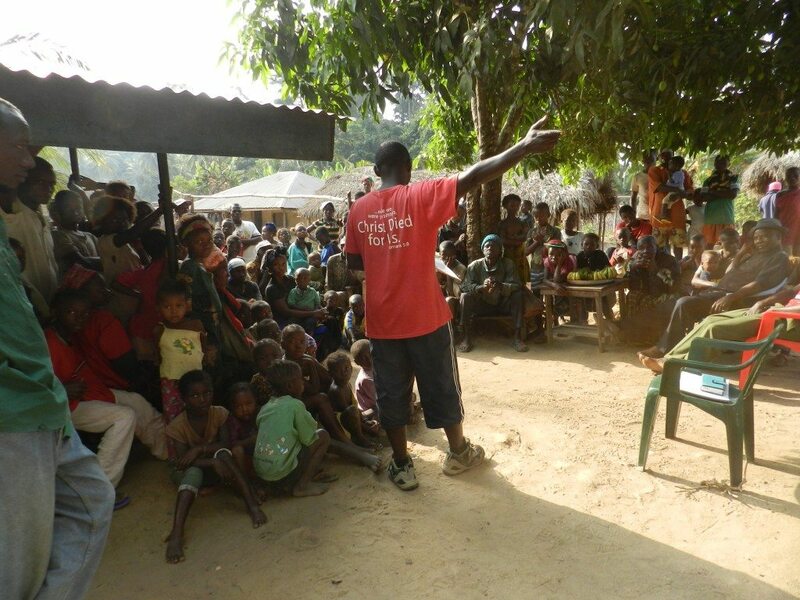 Changing lives isn't only about ministering to the indigenous people of Sierra Leone. We want our Mission Station to be a school of learning on many levels. Providing the opportunity for young people to have mid-to-long-term mission involvement can bring life changing experiences not soon forgotten. Providing practical opportunities to apply biblical teaching, hone skills, develop talents and expand their vision of service is the aim of our mission intern program. With two rooms, a shared bathroom/kitchen, and a large veranda, our new guest facility is designed to house up to four interns (or other guests). In 2013-2014 we were privileged to host our first two interns, Aimee Tanselle and Holly McGee from DeLand School of the Bible in Florida. Holly was with us for 3 months while Aimee stayed a full year. 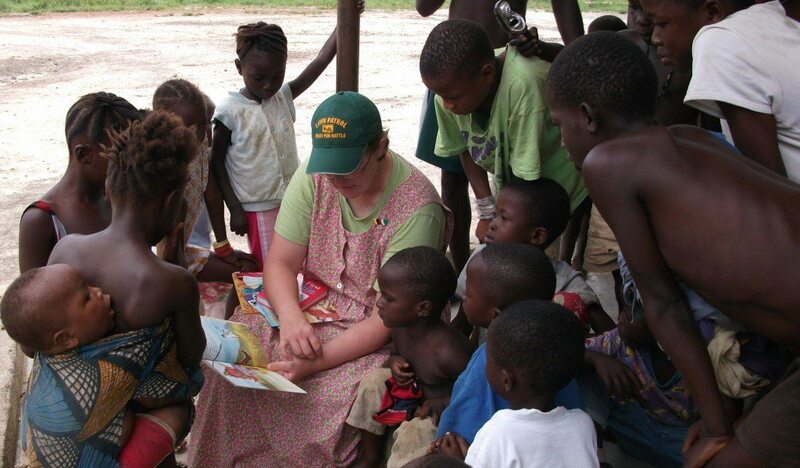 There are many ministry opportunities for those willing to follow "The Shepherd of Eager Youth". You get here and we'll feed you, house you, and work you to death! 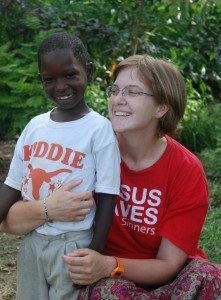 Though Aimee’s main focus was children’s ministry, she was also an indispensable help with town visitation especially among the women. 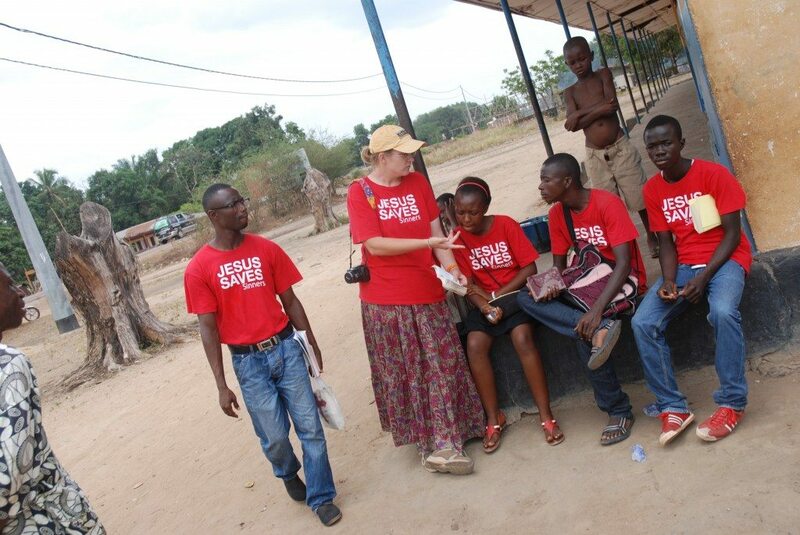 She also eagerly participated in evangelism on the dry-season circuit. 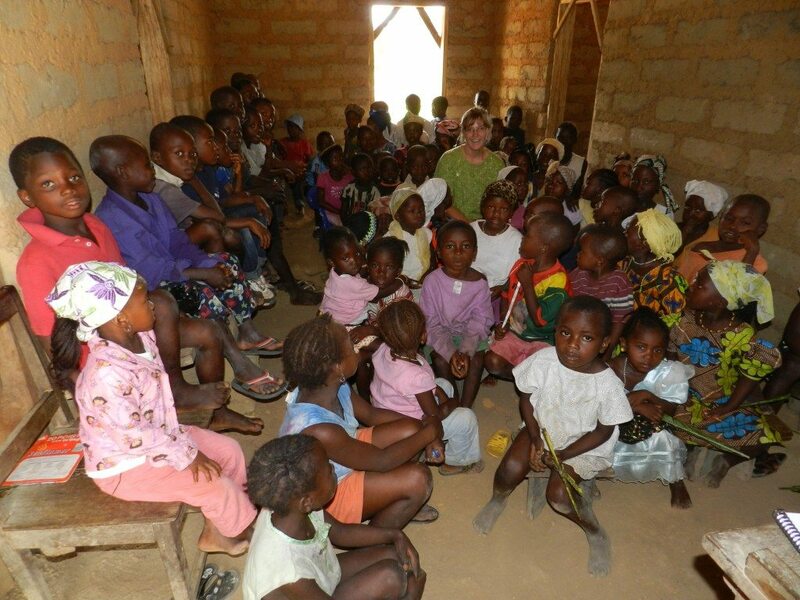 Before her departure Aimee mentored two teachers to take over the Junior Church ministry at The Bible Mission Church. 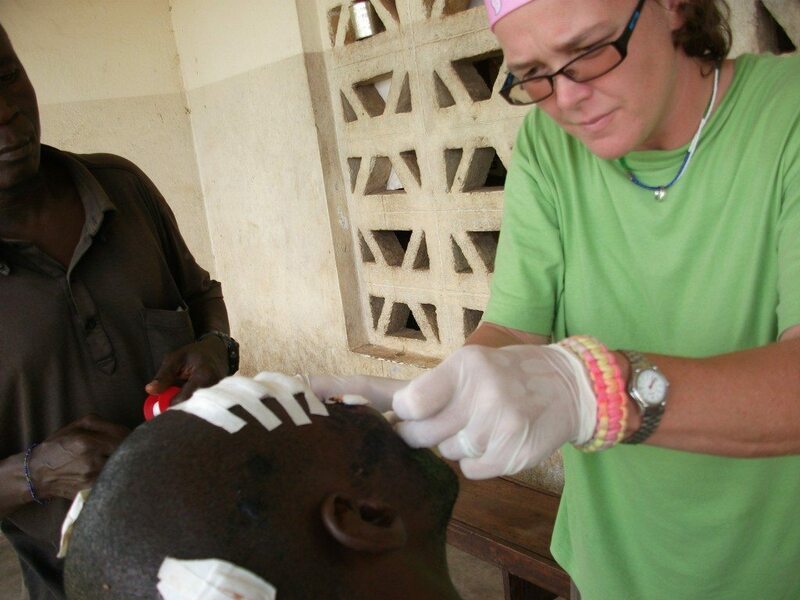 In addition to assisting Aimee with teaching in several area primary schools, Holly also worked at the small clinic in our town. This was well received by town leadership and was a big boost for the public relations of the mission. 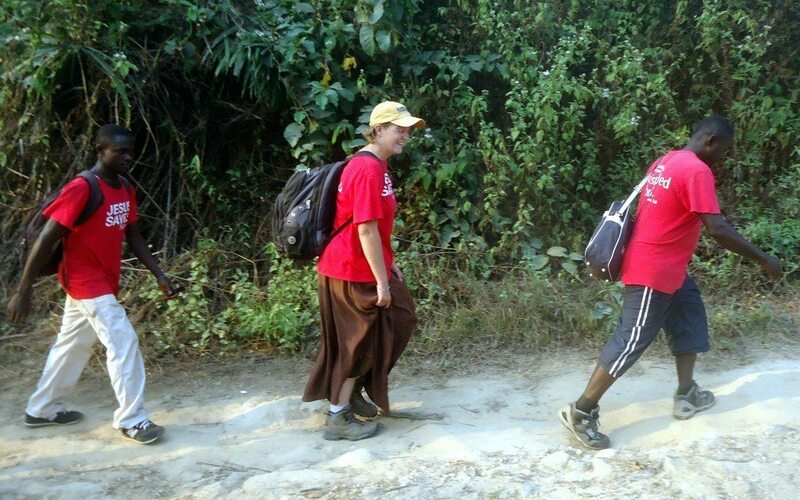 Holly was also able to accompany the evangelism teams on two dry-season trips before her departure in December.